← Get Ready to Tiki! At long last…MAI TAI ONE ON ebooks are up and ready to download. New links will be added to the Mysteries page on this website to make your life easier … and that’s what it’s all about right? 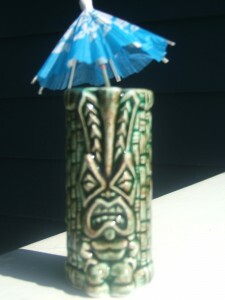 What an exciting day it is here on Kauai and in the Tiki Port! Mai Tais will be hoisted all over town once the word gets out that MAI TAI ONE ON is finally online and available to download. Don’t wait too long to get a copy and add to your summer fun. Things are hopping here on Kauai. The Hula Maidens are in full force trying to solve yet another mystery so don’t get left behind. And remember…those recipes for tropical concoctions in the back of the book? Try them at your own risk! 6 Responses to It’s ALIVE! I’m bummed. Mai Tai is on sale big time as an e-book, Kindle, but not Nook w/Barnes and Noble. For those of us who don’t love Amazon, that’s a downer. outlet and not another. Mai Tai was chosen by Amazon last week and it was a surprise to me. I just read Mai Tie One On as a Kindle e-book and LOVED it!!! I hope there are many future adventures in store for the Hula Maidens. I loved the book and can’t wait for more and said so in my Amazon review!!! I’ll be telling all my friends about this delightful book. Best to you in all your writing endeavors! Hopefully it will be out sooner than later.